Hey everyone, do you happen to be in the Southern California area? 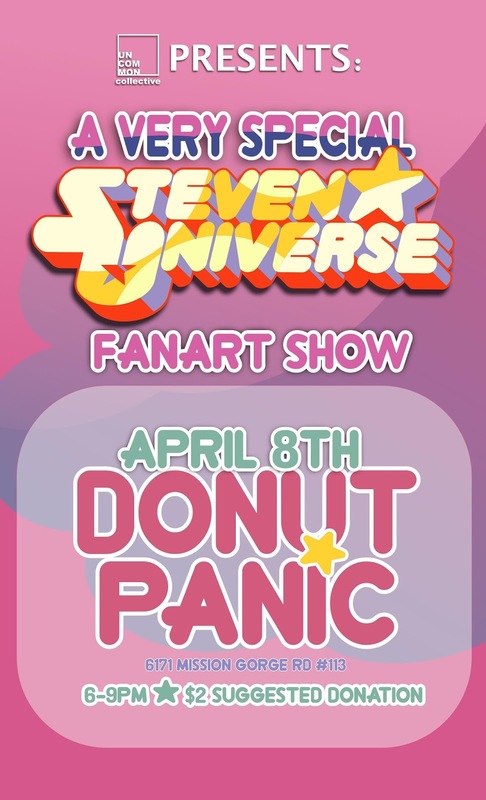 Well, there is another Steven Universe fanart show! This one is taking place at Donut Panic in San Diego, California. On April 8th from 6 to 9 PM, the doughnut shot turns into a Steven Universe art gallery! If you are interested in submitting art to for the show, email them at uncommoncollectivesd@gmail.com to inquire. Visit the Facebook Event Page for up-to-date information!